Happy Thanksgiving, or Happy Kill the Indigenous Peoples Day as my family often says. I joke about Thanksgiving…well…Columbus Day, too, for that matter, but I do think it’s important to take the time to reflect on the things we’re grateful for. So often the mindset seems to be about focusing on what we want rather than the what we have, and that can lead to dissatisfaction with our lives. Now, there’s nothing wrong with wanting to improve our lives, but when we don’t acknowledge the great – or yeah – even the mediocre stuff we tend to take it for granted or cease to appreciate it all together. Sometimes the acknowledging process requires us to reframe our perceptions a bit. For instance, I could be pissy that our house needs a new roof, but looking at the economic crisis in the state of Michigan, I’m thrilled that we have a house. It’s warm, it’s not in danger of foreclosure and my family is safe and protected. Now, I’m not trying to sound like Pollyanna here, cause really, I kinda want to slap her, but I would like to share some of the things I’m grateful for. My kids who make me laugh and help me see the world with new eyes and teach me about love every day. My hubby – even though he pisses me off from time to time, I love him more each day. My family – the whole crazyass lot of them. No matter what, we’re all there for one another. My friends – they listen to me whine, share my joys, make me laugh til I turn an unhealthy shade of purple and gasp for breath. My kitties – I’m especially thankful that Small’s health is improving every day. My career – I’m doing what I always wanted to do and loving it. And now, in no particular order, some random bits I’m grateful for…Johnny Depp, Coke, pretty stones, music, Buffy, hot tea, the sound of clacking knitting needles, hugs, frequent and clean restrooms along the highway, the internet, Ani Difranco, vanilla flavored lip balm, sleep, chocolate, salt & vinegar potato chips, sandalwood essential oil, Adam Duritz, faeries, falling leaves, ibuprofen, cheese pizza, ren faires, books, Brian Froud, fabric stores, legos, Kate Rusby, more books, Mr. Clean Magic Eraser, central air, the muppets, laughter, standing stones, new baby smell, oak trees and the nice, warm bed I’m about to crawl into. 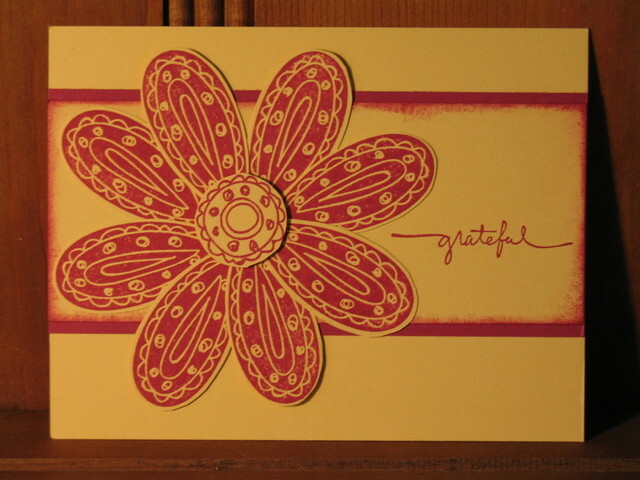 How about it – what are you grateful for? My DD, Friends, Family, Job, Eye-candy, books, and being able to write….Happy Thanksgiving! To be free to live my life without restrictions. To think for myself and have opinions that will not get me jailed or killed. All of the above and a few more.